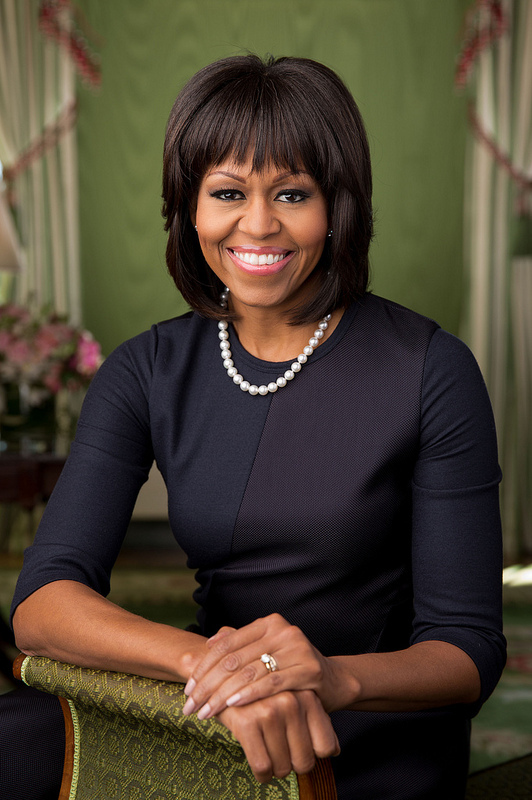 The editors of the New York Times Style magazine invited four woman to write letters of appreciation to Michelle Obama for the October 23, 2016 issue. The first – and arguably the most powerful – letter came from Chimamanda Ngozi Adichie, who won an Anisfield-Wolf Book Award for her second novel, “Half of a Yellow Sun” in 2007. The following year she won a MacArthur Foundation “genius grant” and her third novel, “Americanah,” was named one of the ten best books of 2013. Adichie’s TED talks, “We Should All be Feminist” and “The Danger of a Single Story,” have attracted more than 14 million viewers. She splits her time between Nigeria, where she was born, and the United States.